Here at KF, we know a thing or two about entertaining. Whether it’s a small get-together or a huge soirée, it’s all about finding your theme or party aesthetic and running with it to create a beautiful event! There isn’t always a need to go out and get all new table settings either. Utilize what you own and mix and match old with key new pieces to create a cohesive and engaging theme for your event. 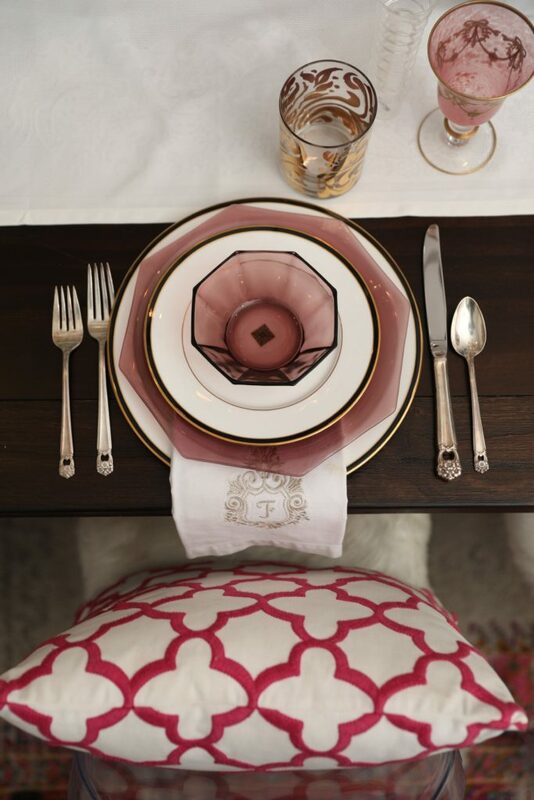 Add in some of your pieces you rarely get to use, but love to see as features in your tablescape. 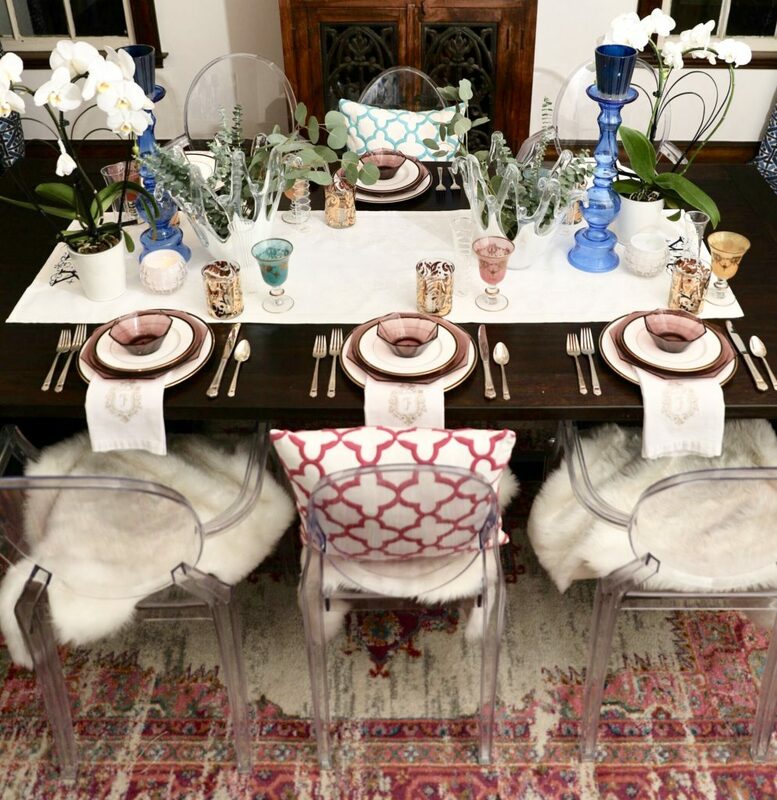 We asked Kathy to style a table two ways ~ boho and glam, and to share some great tips that will help take your entertaining skills to the next level. 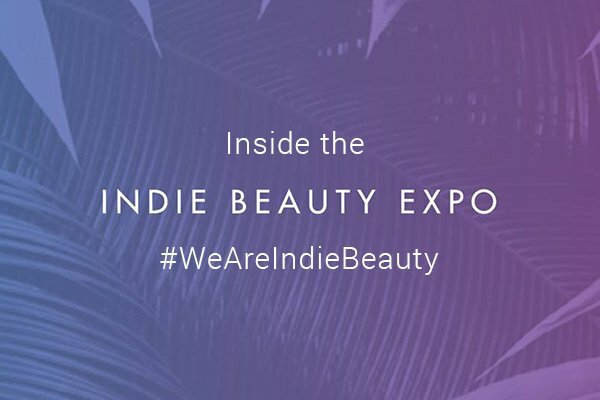 We guarantee amazing inspiration for every event you have on your social calendar! This set up makes our hearts swoon! 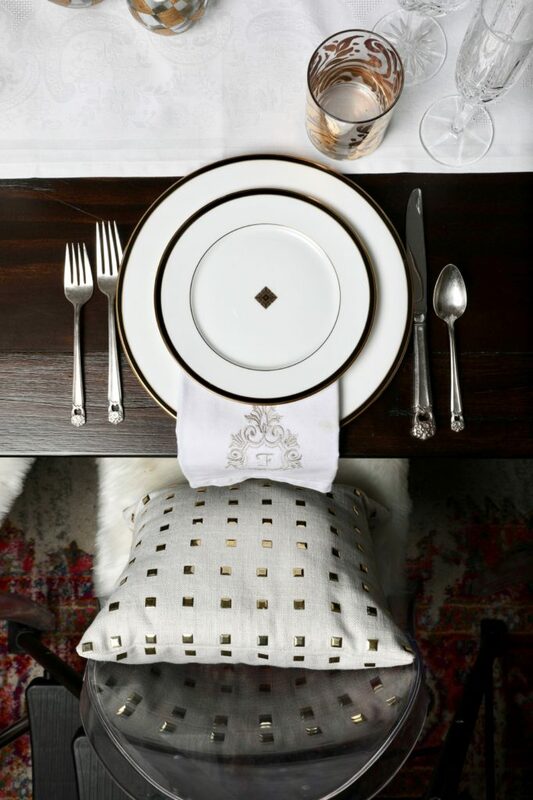 From the textiles to the place settings, this screams glam entertaining. Everything corresponds beautifully and invites you and your guests to the table to sit and enjoy a lovely meal and each other. 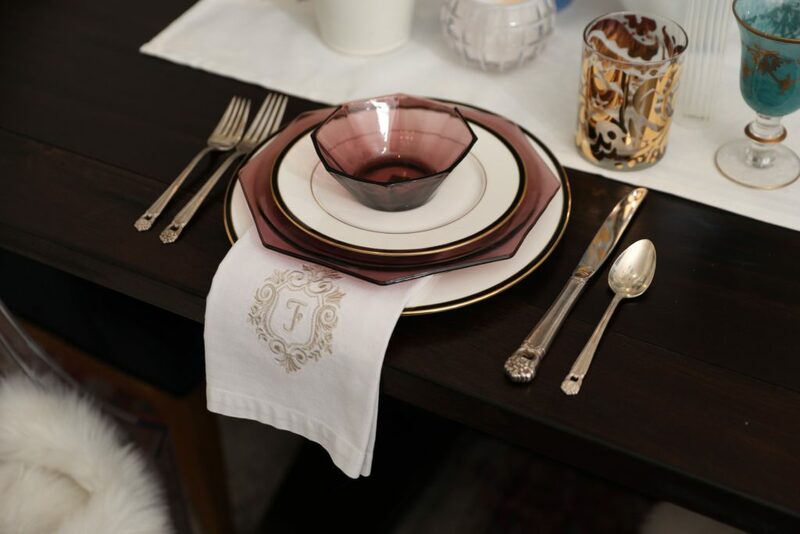 It all starts with the place setting. Refined, striking, and elegant is key for a glam evening. 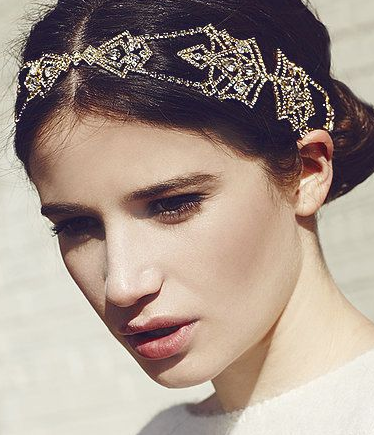 Gold and white accentuated with fine crystal and vintage sterling make for an effortlessly fabulous setting. Centerpieces should be eye-catching without competing for total attention of the table. 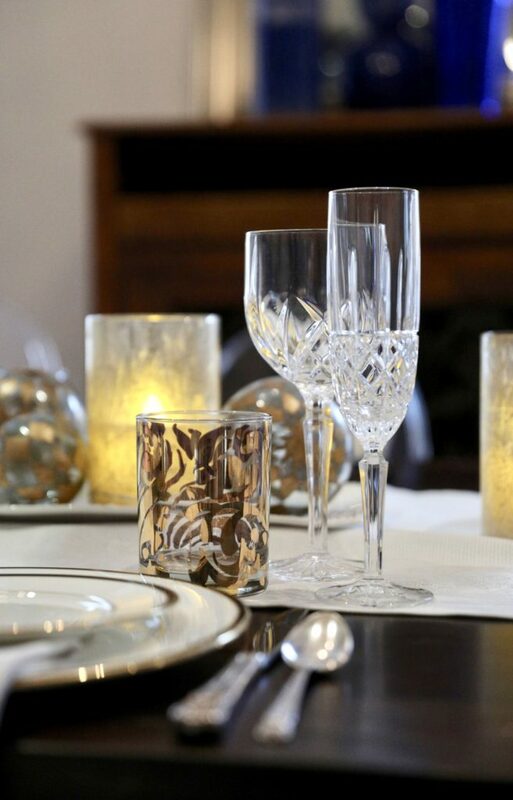 A little sparkle, fresh flowers and ambient lighting all work with your glassware, dishware, and flatware to create a space that glows and invites your guests to linger and enjoy. Guests should be able to see each other and socialize without too much going on in the middle of the table. 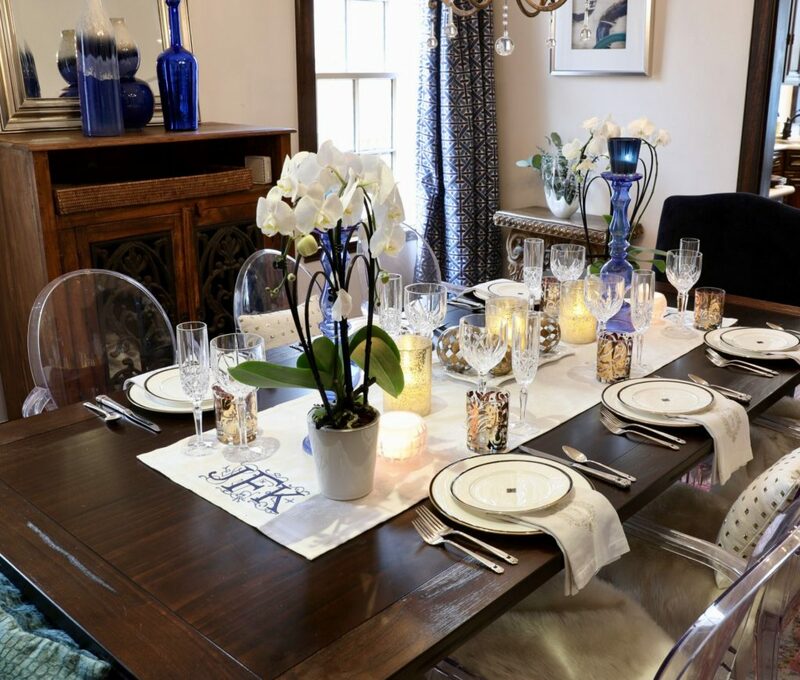 Shorter centerpieces with decorative candles and accessories give you a beautiful and inviting ambience without being overly distracting and invite more conversation from the entire group. 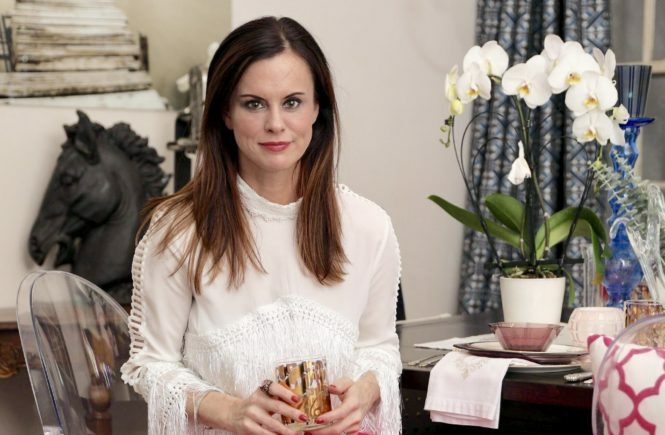 Everything in the room should work together to create a beautifully cohesive space. Place hides and pillows in chairs to add warmth and texture to your room. 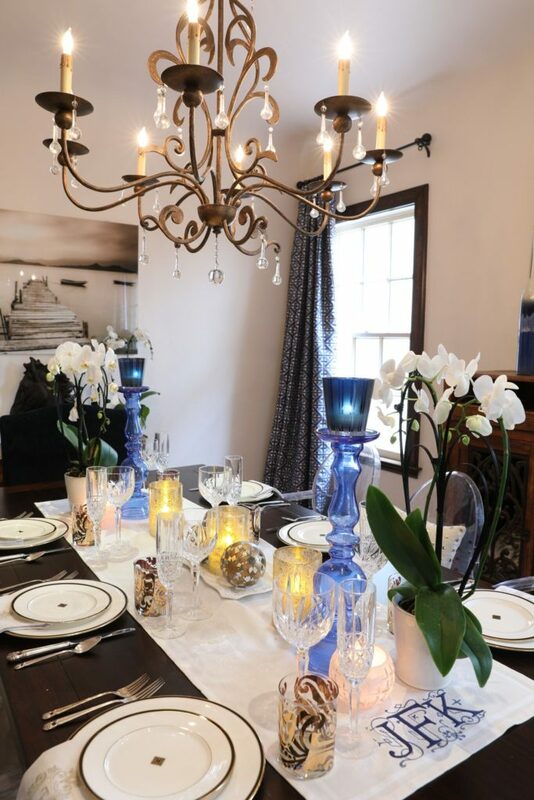 This is inviting to guests as they dine, and it’s also eye-catching when you’re not utilizing the room for a party. 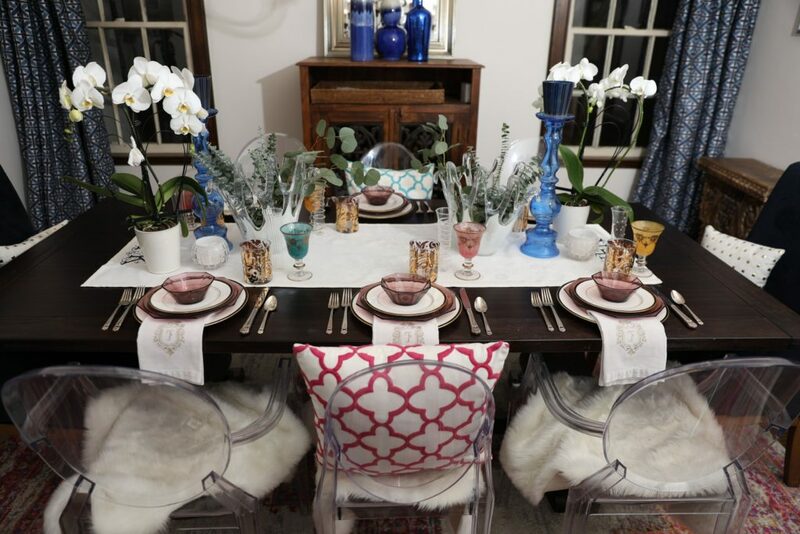 A quick switch easily turns your glam table into the bohemian table of your dreams! 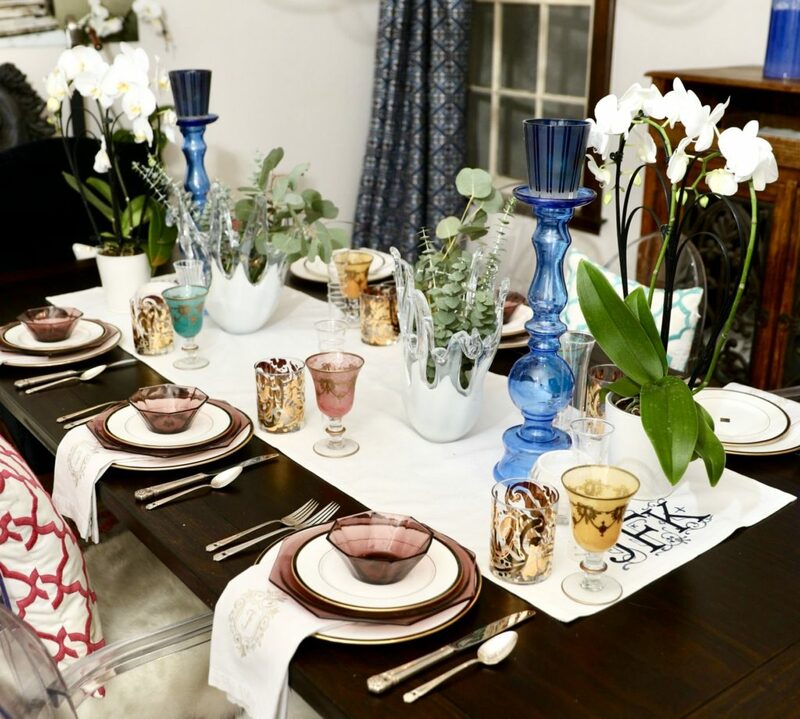 Mix and match unexpected pieces, use color, and be creative to completely transform your table into something your guests won’t be able to refuse. Pops of color are key in creating a boho vibe. Mixing multiple brights gives the vibe that creates an eclectic and fun table for all to enjoy and savor their meal. Eclectic styling is also the key in boho rooms. 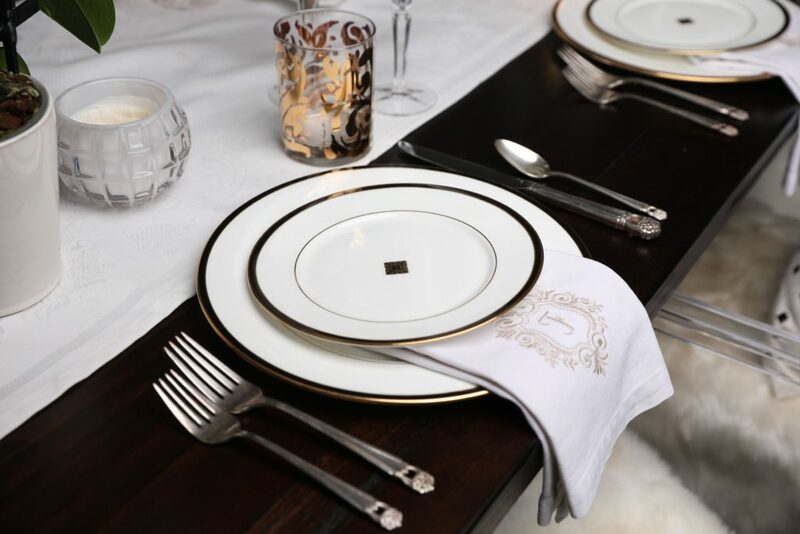 For example, each setting gets the same glasses but in different colors, all anchored by something each place setting has in common, such as the gold tumblers with interesting detail that Kathy used in this instance. The champagne flutes and wine glasses add a fun, interesting aesthetic to the table and give it that bohemian twist with loads of style. Fresh eucalyptus brings in a natural element to the center of the table. Pop it in abstract vases. You can always add a couple different candles in different shapes, colors, and sizes to the table to give it the mood lighting you desire. The purple vintage dishes create that added layer that give that last gorgeous pop of color and are unique and different, so you and your guests can enjoy and savor the experience! Finally, a quick switch of pillows to brighter patterned styles is the perfect finishing touch to transform the entire space into something fun, fresh, and engaging for your guests.